From Executive Producers Mark Burnett (The Voice, Survivor) and Roma Downey (Touched by an Angel) comes THE BIBLE — an epic 10-hour miniseries debuting on History March 3, and coming to Blu-ray, DVD and Digital HD April 2 from Twentieth Century Fox Home Entertainment. 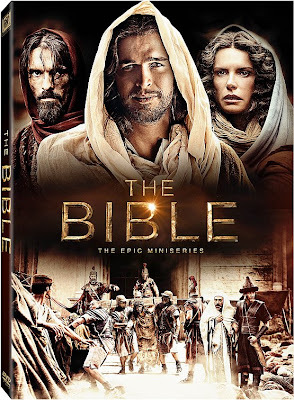 Narrated by Emmy winning actor Keith David, THE BIBLE features a stunning international cast including Portuguese actor, Diogo Morgado as Jesus Christ and beloved actress, Roma Downey as Mother Mary. And for the first time since their award winning collaboration on Gladiator, Oscar® and Grammy® winning composer Hans Zimmer reunites with acclaimed vocalist Lisa Gerrard to create the majestic musical backdrop for this epic production. It has been a long time since I have watched a miniseries. When I received "The Bible" we decided to watch an episode then wait a night or two and watch another one. That way it didn't feel like too much at a time. Now that we have watched each episode, I feel I can really share with you my thoughts. I feel that the miniseries is done very well. This is a overview of the Bible in less then 10 hours. Of course, there are things in the Bible that are left out, but the content that was not overlooked more than makes up for any missing pieces. During the movies we caught ourselves really getting drawn in. I think the producers and actors did such a great job throughout the entire event. Throughout the series of shows, you get to enjoy Noah & the Ark, Adam & Eve, and many more of the stories that we have come to love and understand. This movie, however, can be very realistic at times, so my hubby and I decided that it was not appropriate for the kids to watch. This series is very rewarding to watch and I am glad to have had the privilege to see the whole series. 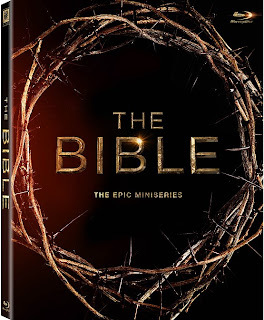 Where to purchase: You are able to purchase The Bible: The Epic Miniseries [Blu-ray] from Amazon and local retailers for $34.96.